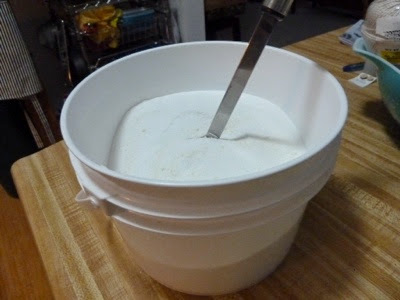 My Home and Garden: Making your own laundry soap step by step. It is so easy. 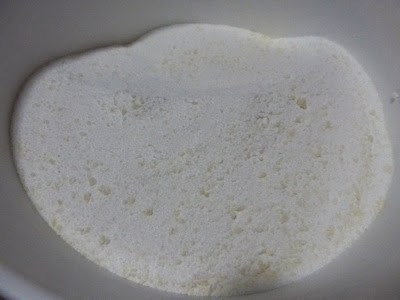 Making your own laundry soap step by step. It is so easy. I have been making my own laundry soap for about a year. I started with little batches...decided that was silly and now I make about six months worth at a time. Here is that recipe. 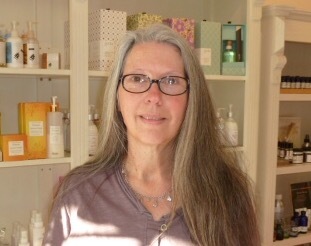 Chop up two bars of Castille soap. I use Dr. Bronner's. 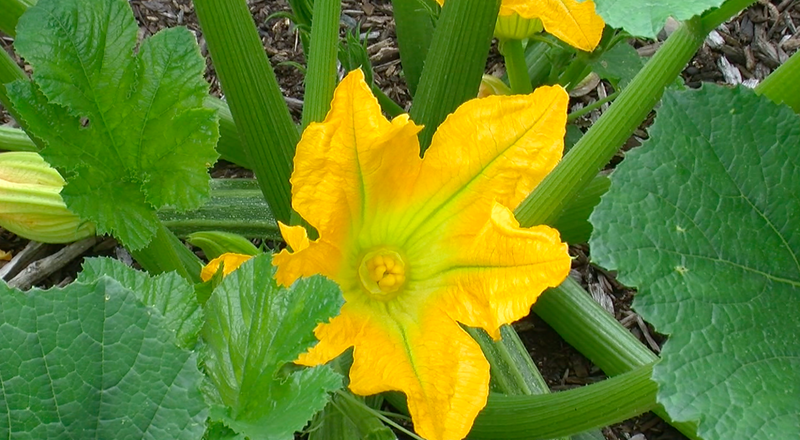 Chop it up as finely as you can. 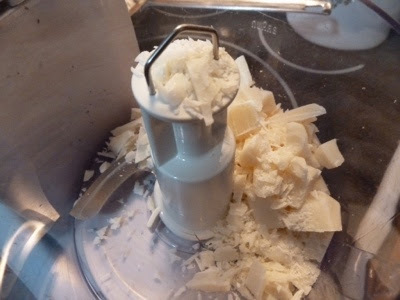 Put the chopped soap in your food processor. Put three cups of Washing Soda into the food processor with the soap and buzz it up until really well mixed and all lumps are gone. Pour the mixture into your laundry soap container. 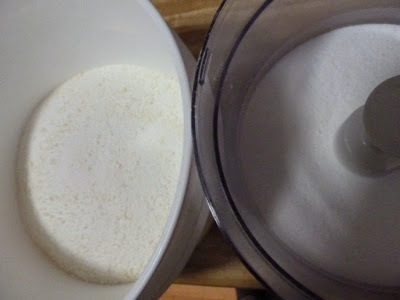 Put three cups Borax into the food processor and buzz it up just to break down any little lumps. Pour it into the container and stir it up really well. There will be some compacted soap in the bottom of the food processor. 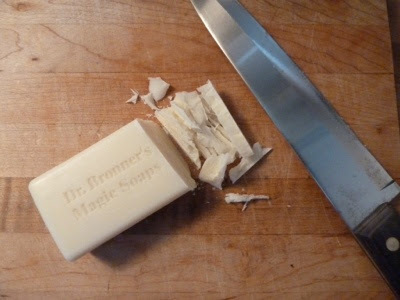 I scrape up every bit I can and add to soap. This is the finished laundry soap. I have a tablespoon that I keep in the container. Use one to two tablespoons per load of laundry. This is a very concentrated soap and you don't need more. Your clothes will not get any cleaner using more. If you watch your laundry like I did at first, you will see that there are no suds in the washer. It is chemicals that make all the suds in commercial laundry soap, so see the lack of suds as a really good thing! I haven't done the math but I figure it costs about $7.00 per year. Neat! Looks easy. I'll need to remember this once I finish all the store bought stuff I have. Thanks! Also, I use warm water to do my clothes, just to help it dissolve. My son, however, just uses cold. Maybe try both!! Learning to graft...I opted out of this one. Fall rye...the experiment is a failure.